The Kodak Prosper S Series Imprinting System, which is built on Kodak Stream Inkjet Technology, allows you to enter and thrive in the hybrid digital printing market. This solution enables you to combine the best of your sheetfed offset or web offset equipment with high quality, high-speed variable data capabilities. The result is an ability to produce a range of new, personalized applications that add value for your clients by enabling a more profitable business. 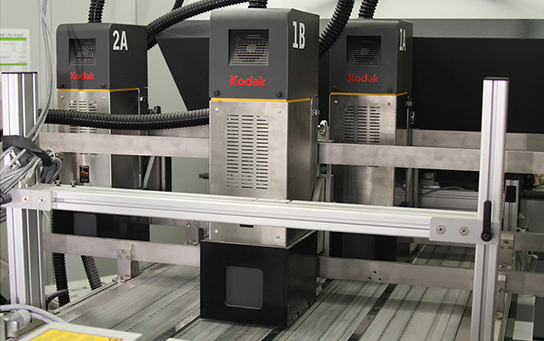 The Kodak Prosper S Series Imprinting System offers offset class reliability, productivity, cost of ownership, and image quality so you can easily integrate into existing sheetfed or web press production processes.